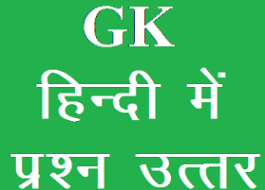 General Knowledge questions on Indian GK for Bank PO, IBPS, Bank Clerical And Indian GK For Railway GroupD,RPF,Rajasthan Police SI 03-11-2018 questions for bank exams, very important computer-related questions for Bank PO, SBI PO, IBPS,RAS, IAS, UPSC, RPSC, 1st, 2nd, 3rd Grade Teacher, REET CTET, LDC, SSC CGL, IBPS, MBA, CAT, MAT, SBI-PO, RBI And Railway, Indian Army And all competitive Exams, and Most expected Computer Question Papers with answers. These Questions are most commonly asked in Other Banking Exam And All subject Wise Notes and Math, Hindi, English, History, Political Science, Psychology, Sanskrit Related Study material. Question (1) What is ‘economics’ related? Question (2) Which ruler made Pataliputra his capital? किस शासक ने पाटलिपुत्र को अपनी राजधानी बनाया? Question (3) Who made Chandragupta’s palace in Pataliputra? Question (4) Who was the first Indian Empire founded? सर्वप्रथम भारतीय साम्राज्य किसने स्थापित किया? Question (5) which column Ashoka has described himself as the emperor of Magadha? किस स्तंभ में अशोक ने स्वयं को मगध का सम्राट बताया है? Question (6) Who was the first law minister of India? भारत के पहले कानून मंत्री कौन थे? Question (7) ‘Who was the author of ‘Abhijana Shakuntalam? अभिज्ञान शाकुन्तलम’ के लेखक कौन थे? Question (8) When was the Bahamani state established? बहमनी राज्य स्थापित कब हुआ था? Question (9) Khilji, Tughlaq, Syed and Lodhi Sultanate rulers were of Afghan origin? खिलजी, तुगलक, सैय्यद और लोदी सल्तनत शासकों में से कौन अफगान मूल के थे? Question (10) Who built the present form of Delhi’s old fort? दिल्ली के पुराना किला के वर्तमान स्वरूप का निर्माण किसने करवाया था?